Houses are 3kms away from Pythagorion Port and in a very peaceful place. We felt like we are staying at our home during the stay with our 2 years old daughter. Frigidaire was full with fruits, drinks etc while we were there and we had arranged our breakfast as we like. If you are looking for a place to stay at Samos this place is a good fit. Especially you can stay with your small child comfortably with a big garden full of fruits and flowers. It was a beautiful villa and very comfortable. Great beds and beautiful location. The host was lovely and always available when we had a question or needed something. The kitchen area at the bottom of the garden was wonderful too. We really enjoyed our stay here for my brother's wedding and would recommend to anyone. The grounds and gardens were beautiful and beautifully maintained. The BBQ area was superb. Well equipped and comfortable. Amazing villas with great construction quality, fully equipped with unlimited amenities. There is a private garden very well trimmed with barbeque. On top of that, Ilias is a very pleasant and helpful host who made every effort to make our stay smooth from the early check in, until the late check out! Very good location. Clean and useful rooms. The owner is very helpful. 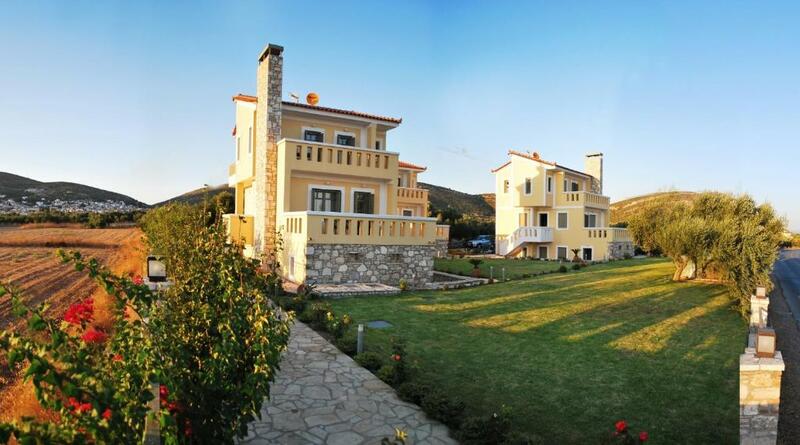 Elaias Villas was the best choice we could have made regarding our stay in Samos. It's in a great place 5 minutes max next to Pithagorio and even less for the beach.The apartment was part of a 3 houses complex in a very beautiful place that was carefully taken care of.The apartment included a bedroom a living room with a kitchen and a bathroom, in total more than enough space for 3 people.The hospitality was memorable, from the first day we were given fresh bread, juices, biscuits, fruits, toast bread, honey, butter, coffee capsules-not charged. The kitchen was fully equipped and we cooked several times without difficulty. 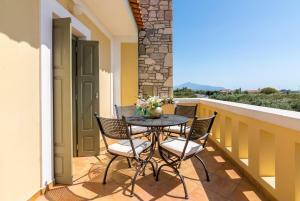 I would recommend Elaias Villas without second thoughts to anyone visiting Samos. Excellent quality and comfort of the villa. Very nice welcoming food&drinks. Very friendly owner. Nice garden. Fully equipped villas with privacy and parking. The host was very helpful and the amenities offered, more than enough! Great villas - Amazing garden - Great location - Very helpful staff. Incomparable value for money! 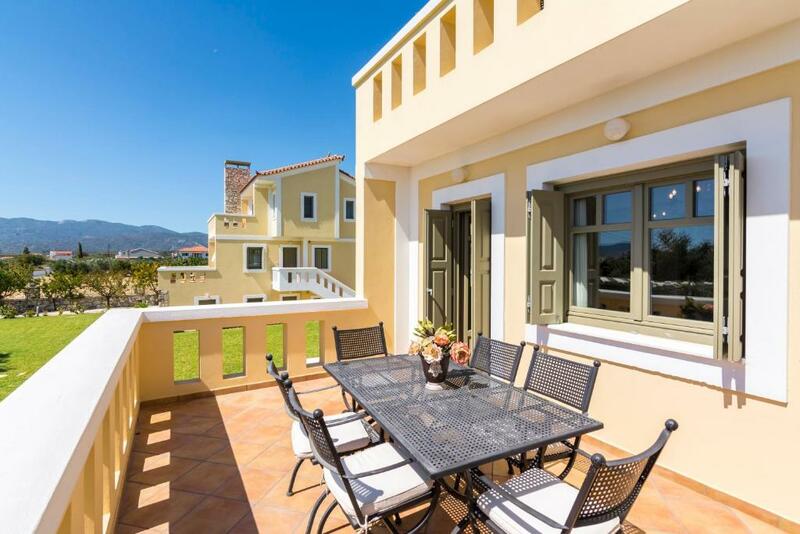 Lock in a great price for Elaia Villas – rated 9.5 by recent guests! Located in Pythagorion of Samos, Elaia Villas offers split-level, self-catering accommodations with free WiFi and a spacious balcony overlooking the Aegean Sea. It features a well-tended garden with a covered BBQ area. 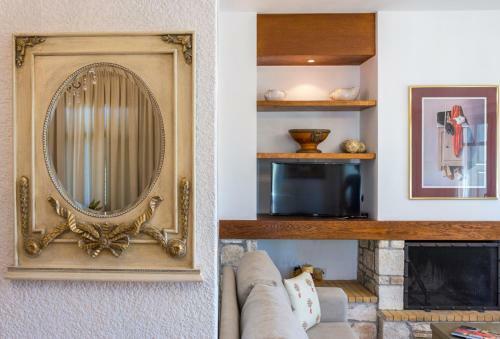 Fitted with beamed ceilings, well-chosen furnishings and earthy colors, the air-conditioned Elaia villas and apartments have a living room with fireplace and flat-screen satellite TV. 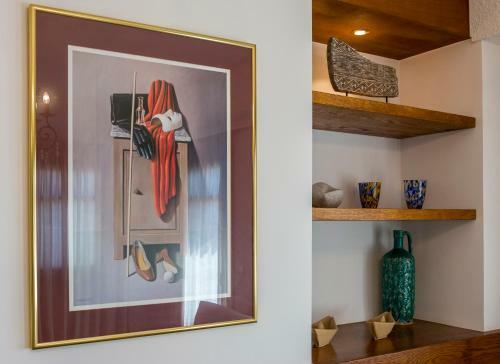 Each consists of 1, 2 or 3 separate bedrooms, a fully equipped kitchen with dining area, and a private bathroom. Facilities include microwave, stove, bathrobes and slippers. Guests can reach Potokaki Beach within 1,650 feet from the property. Taverns, bars and restaurants can be found at 1.9 mi and mini markets at 0.9 mi. Samos Airport is 0.6 mi away, while Vathy Town and Port are at a distance of 9.3 mi. Free on-site parking is possible. When would you like to stay at Elaia Villas? 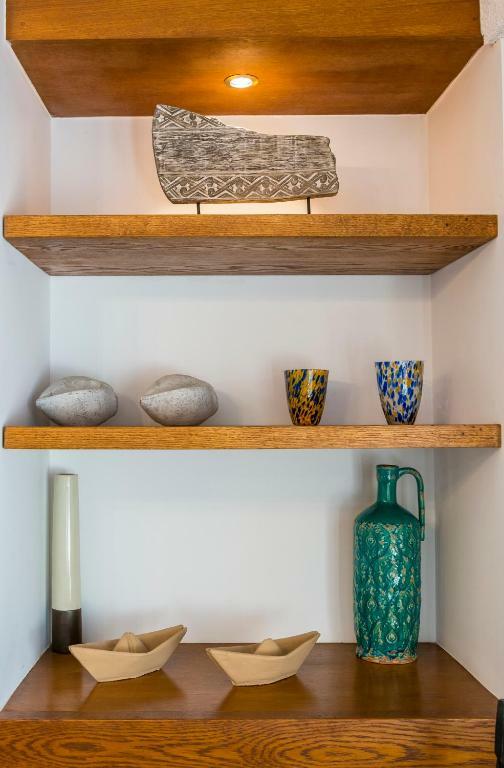 Overlooking the garden and the sea, this air-conditioned, 2-bedroom apartment opens to two spacious balconies. It offers a living room with fireplace and flat-screen, satellite TV, and a fully equipped kitchen. Free Wi-Fi is provided. Fitted with beamed ceiling and a fireplace, this air-conditioned, 1-bedroom apartment comes with a spacious living room with sofa and flat-screen, satellite TV. It has a fully equipped kitchen with stove. Free Wi-Fi is provided. 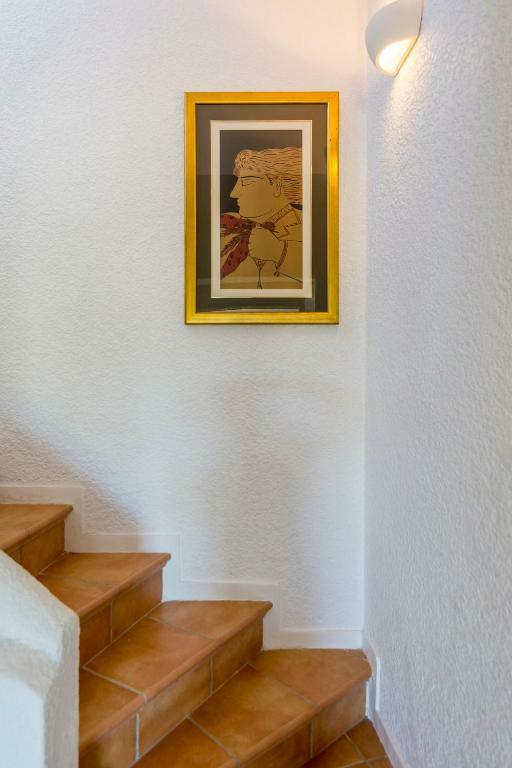 This apartment is located in a sunken courtyard, on the lower floor of a three-story villa. House Rules Elaia Villas takes special requests – add in the next step! Elaia Villas accepts these cards and reserves the right to temporarily hold an amount prior to arrival. Please inform Elaia Villas of your expected arrival time in advance. You can use the Special Requests box when booking, or contact the property directly using the contact details in your confirmation.